DEI Boom Mat Leather Look Sound Barrier UNIVERSAL - Pann Auto Performance - San Diego largest aftermarket automotive performance parts - What do you drive? 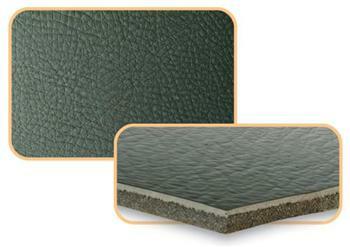 Boom Mat’s new Leather Look Sound Barrier is an ideal way to reduce noise offering a premium leather appearance. Available in a moisture resistant, black leather embossed material, this product is designed for insulating trunks, door panels, floors, speaker boxes and package shelves – any interior area of a vehicle where a leather appearance would provide a finishing touch. Function is equally important and the new Leather Look Sound Barrier is proven to significantly reduce incoming sounds caused by outside noise, troublesome rattles, squeaks or vibrations, while providing a level of thermal insulation that lessens transfer of heat and cold in any climate. Now available in three sizes: 24” X 48” (8 sq. ft.), 48” X 48” (16 sq. ft.) and 48” widths sold by the linear foot. NOTE: To customers ordering in BULK, Please note the number in the QUANTITY BOX in your shopping cart is the bulk length of your order in FEET. For example, by default, quantity is “1”. This would make your bulk order 1 ft x 48 in.wide. Changing the product quantity in your shopping cart to “20” would make your order 20 ft x 48 in.wide.